Dr. Borders knows having whiter teeth has now become the number one aesthetic concern of most patients, there are a number of ways to whiten teeth. The most popular method is an at home system that can lighten teeth dramatically. Since tooth whitening only works on natural tooth enamel, it is important to evaluate replacement of any old fillings, crowns, etc. Replacement of any restorations will be done after whitening is complete to ensure the new restorations match your new shade. 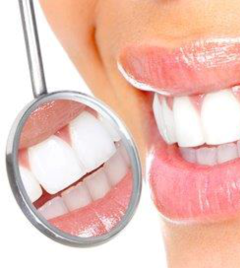 Take Home Whitening - We will take impressions of your teeth to make molds used to fabricate custom whitening trays. These will be given to you to take home along with prescription strength whitening gel to use in the trays. This process takes approximately ten days to two weeks of every day use depending on the level of whitening you wish to achieve. Some temporary sensitivity of the teeth may occur with any such treatment. Keep in mind though that whitening is not permanent. A touch-up maybe needed every several years, and more often if you smoke, drink coffee, tea, or wine. 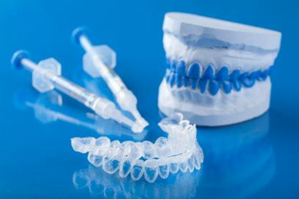 The touch-up is a process in which you utilize your custom trays and prescription strength gel to re-whiten the teeth. The touch-up will almost certainly take less time than the original whitening process. We are committed to providing both affordable and quality dental care to our patients while maintaining a friendly and relaxed environment. © 2018 | Borders Dental | ΔICGInc | All rights reserved.